Although SCU doesn't have bricks and mortar buildings we do have this very special campus in cyberspace. And, just like a regular university we're having fun with the concept of a "faculty." Members of the SCU faculty represent some of the most talented and respected educators and artists in professional photography today. When SCU was founded in 2013 we had some fun and asked each faculty member what advice they'd give a new photographer just starting out today. They opened their hearts and shared insight and wisdom based on each of their experience to date. We couldn't be more proud of the way SCU has grown. It's in part thanks to the dedication of these individuals and the additional artists who have contributed to the various features and programming that makes SCU unique! 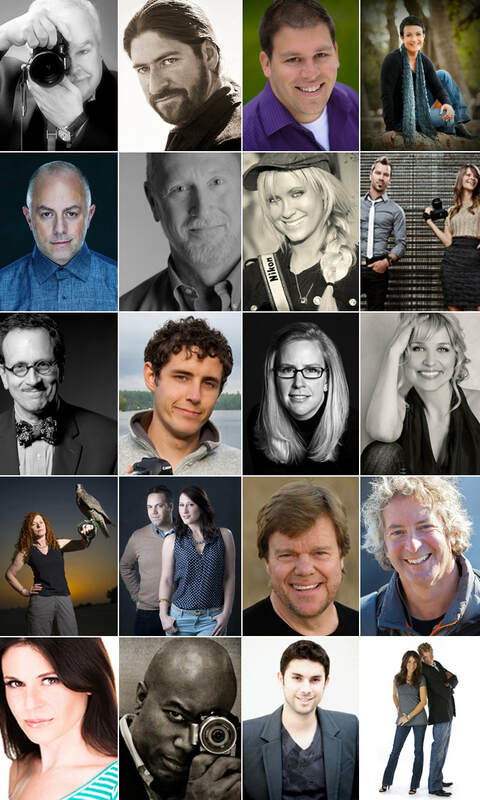 Just click on the sampling of faculty members on the right and take a scroll through some of the best advice every collected on being a professional photographer. Or click the button below.